Chris is a Senior Advisor to JustFaith Ministries. She brings to her current role eight years of direct work on the JustFaith program and six years as Director of Charitable Giving for the organization. Chris has a Bachelor of Science in Nursing degree from Marian University and a Master of Nursing Science degree from UCLA. Prior to coming to JustFaith Ministries she taught at UCLA for ten years and was a healthcare administrator for fifteen years. Chris has experience in the areas of education, curriculum development, and small not for profit administration. She also provided volunteer nursing support at a low income community agency for fifteen years. Jack is the original author of JustFaith, founder of JustFaith Ministries and was the first Executive Director of the organization. 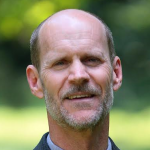 Prior to that, he spent five years in a Catholic Worker community working with men and women who were homeless and, after that, divided his time between faith-based justice education and organic agriculture. He holds a B.A. in Philosophy and Religion and a Master of Divinity degree from Notre Dame. He and his spouse Maggie have been married for 32 years and have three adult daughters. Jack is a popular speaker and author of the book, A New Way to Be Church: Parish Renewal from the Outside In. His work now focuses on presentations, workshops and training to introduce JustFaith programs and local leadership & networking. 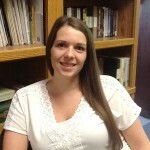 Meghan is the Marketing Manager at JustFaith Ministries. She works to build engagement with the JustFaith audiences, and promote our programs. Meghan is a strategic thinker who has spent her professional career helping nonprofits at all stages with marketing and development. She holds a J.D. degree from Hamline University School of Law and a B.A. in International Studies from Centre College. Meghan calls Louisville, KY home, and in her free-time enjoys yoga, swimming, painting, and gardening. 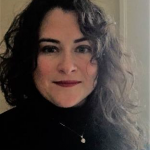 Melissa is JustFaith’s Development Associate and works closely with our Senior Advisor and Executive Director to connect and engage JustFaith Donors and Members. She has spent the last 10 years working or volunteering with various non-profits and social agencies across Kentucky in various forms of capacity building. She holds a Bachelor of Fine Arts from Eastern Kentucky University and a Master of Arts in Religious Studies from the University of Louisville. 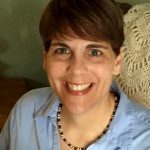 Melissa loves hearing people’s stories and connecting their passions with a purpose that brings them deep personal and spiritual fulfillment. During her free time Melissa enjoys spending time in her art studio, having family fun days with her husband and son, or convincing herself that she has time for all those extra projects she definitely does not have time for! Micah is the Data Manager at JustFaith Ministries. She is responsible for maintaining and overseeing data integration into the JustFaith Ministries database and the analysis and reporting of JFM datasets. Micah has a Bachelor of Science in Geography from the University of Louisville. Prior to joining the team at JustFaith, Micah worked as a data analyst and database manager at the Network Center for Community Change. As Business Manager, Pat ensures the smooth running of the JustFaith Ministries office and business functions. 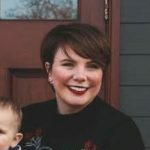 She has a degree in accounting and has worked for various organizations in the Louisville area in both the bookkeeping arena and in management. Pat is highly organized, but attributes her highest level of success as raising three socially-just mindful daughters with her husband of 40 years, Jeff. She completed the JustFaith program in 1992. 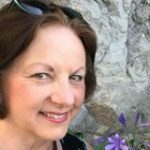 Susan’s job responsibilities at JustFaith Ministries include oversight of the bookstore, website and website content as well as the program registration process. Susan enjoys using her skills to help people connect and use their gifts in the world. She has an engineering degree and psychology minor from Cal Poly San Luis Obispo and certifications in life, career, and relationship coaching. 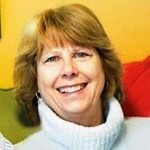 Susie supports JustFaith Ministries’ program facilitators and helps with local organizing and promotion of programs. She coordinated efforts to promote and encourage participation in the JustFaith Ministries programs in the Des Moines area (and across Iowa) for over fifteen years. Susie is a graduate of the Education for Ministry program through Sewanee University School of Theology, but her education and experience has come through her previous work as the Executive Director of the Center for Social Ministry in Des Moines; a Pastoral Minister in a Catholic parish; a food pantry site manager/volunteer coordinator; and a workshop presenter on poverty and justice. In her spare time, Susie enjoys spending time with family – especially her 6 yr. old son and 4 yr. old daughter. She also enjoys reading and writing poetry.